July 12, 2017 - Marrying Later in Life? 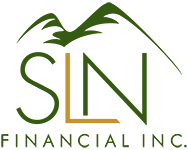 Here Are Key Financial Tips to Consider | SLN Financial, Inc.
No matter what stage of life someone’s in when he or she marries, a union brings reason to celebrate. And, for individuals who are 55 and older, remarrying is even on the rise. When marrying later in life, people’s finances are usually more robust, bringing new and specific obligations to manage. To make the most of this exciting chapter, here are some key financial details to address. 1. Discuss openly all the assets and debts you each bring. Stay open and honest about your finances with your partner as substantial assets and debts can affect a couple’s overall financial profile. Unfortunately, many couples don’t talk as much about their finances as they should. According to one study, 38% of couples were somewhat or not at all aware of their partner’s debt. Yet, couples who do openly talk about their finances experience better financial harmony. In order to enjoy a healthy relationship in this next life chapter, make sure you discuss the assets and debts you’re bringing to your relationship. 2. Know how marriage affects your benefits. Social Security Payments: Divorcees can receive payments from their ex-spouses’ Social Security benefits as long as they remained married for at least 10 years. Survivor Benefits: You receive these payments if you were married for at least 9 months before the death of your spouse. You only lose these benefits if you remarry before you turn 60 years old. Pension Benefits From Deceased Spouse: Widows and widowers can receive pension payments from their deceased spouses retirement account, and they can lose them once they remarry. By addressing any benefits you receive, you’ll help ensure you proactively and soundly prepare for the potential loss of income. 3. Revisit your estate plans. New plans and needs arise when marrying later in life. In order to preserve your legacy, you will need to balance your home, your business, and any new family members, among other details connected to your estate. Even decisions like choosing to move to a new state with your loved one can affect how you manage taxes with your estate strategies. As you marry, be sure to keep your estate plan up to date. A variety of factors will drive the specific details you should address when marrying later in life. If you are planning to marry, we can help you navigate your unique financial needs and goals. Contact us today. We’re always happy to help you make the most of your opportunities.